Although their campaign has concluded, if you would still like to make a donation to support Strong Women Strong Girls, you may always do so here. Strong Women Strong Girls (SWSG) is a national organization dedicated to mentoring young girls and encouraging them to become successful women. 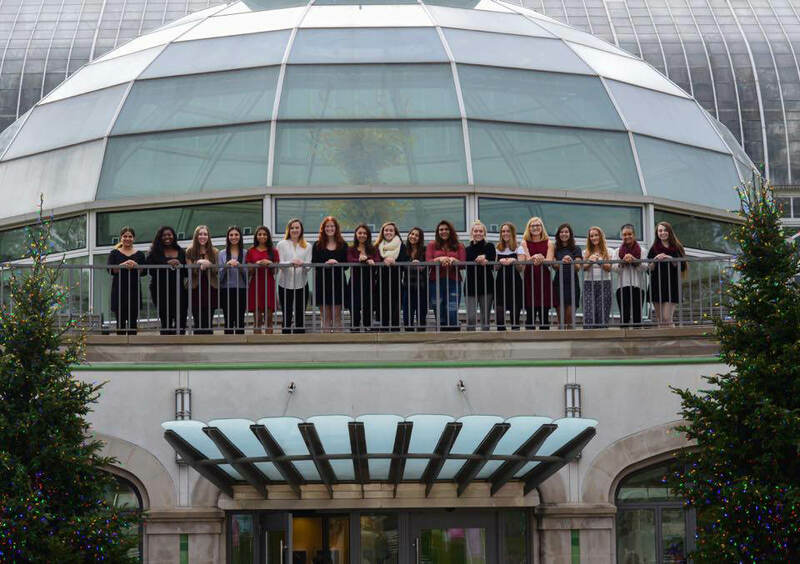 With chapters on several college campuses in both Boston and Pittsburgh, our organization provides emotional, personal, and academic support to girls between third and fifth grades. Our chapter at the University of Pittsburgh has 80 mentors and about 140 mentees from 13 different Pittsburgh sites. Each week, our mentors travel to neighborhoods around Pittsburgh to lead a program that actively works to undermine the negative social pressures that girls face every day. Our mentor-led program incorporates a curriculum that advocates for female education and leadership. The girls we mentor in SWSG often do not have strong role models in their lives to support them. It has been proven that mentoring provides the supportive, healthy relationships that children need in order to develop a sense of worth and drive to meet their potential. The benefits of mentoring include higher high school graduation and college attendance rates, enhanced self-esteem, and the ability to form stronger interpersonal relationships. Mentoring provides both mentors and mentees the skillsets to excel and overcome the pressures women face in society. Each campus chapter of Strong Women Strong Girls is responsible for their own fundraising. This year, we are hosting our 5th Annual 5k and 1-Mile Fun Run fundraiser on Sunday, April 22nd to raise the funds we need for our 2018-2019 budget. While the race is a great way to raise money for SWSG, it also allows us to involve the Pittsburgh community in our cause and to raise awareness about the benefits of mentoring young girls. In fact, many of our mentees come out with their families to participate in the 1-Mile Fun Run! 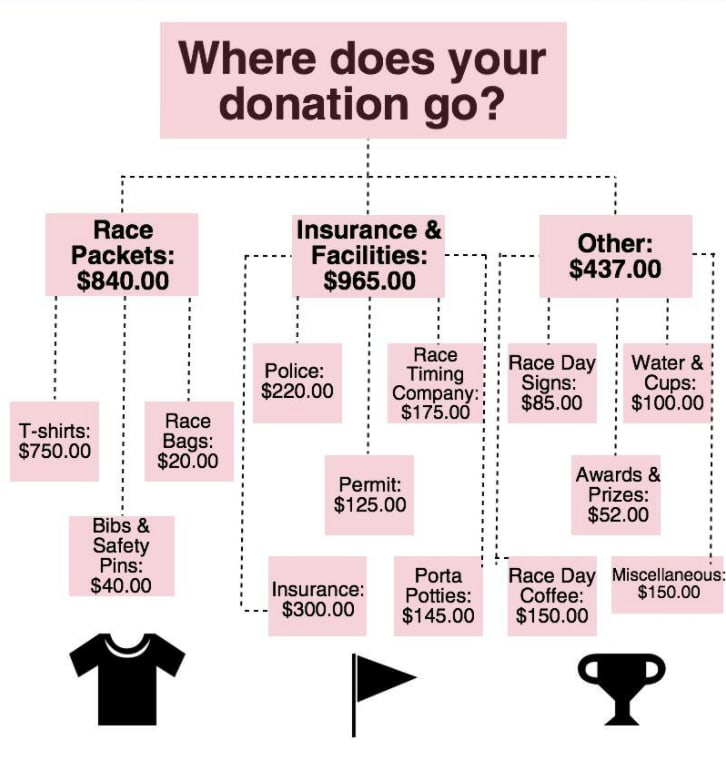 This year, the cost of putting on the 5k fundraiser is just under $2,300 (see graphic below for a budget breakdown). We are asking for your help to make our 5th annual race a reality and enable us to continue building positive relationships with our young mentees throughout the 2018-2019 school year. All donations that exceed the amount needed to host the 5k will be allocated to buy supplies, snacks, and transportation for our mentors and mentees so we can make the most out of each mentoring session. 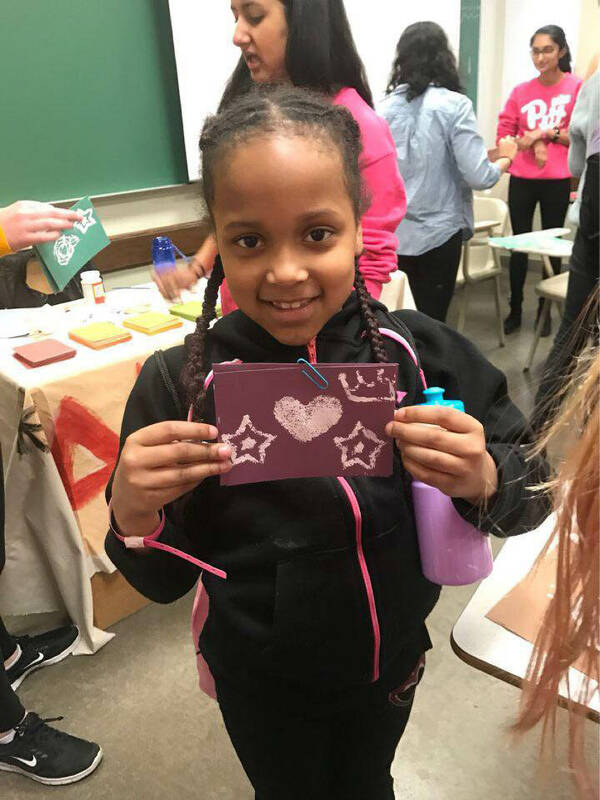 Every donation we receive ultimately contributes to the betterment of the girls whether it be for activities, projects, or a trip to the University of Pittsburgh to show the girls the opportunities that await them in the future. If you would like to register for our 5th Annual 5K & 1-Mile Fun Run, you can do so here: https://give.classy.org/20185K. We hope to see you on April 22nd! 2018 marks the 12th anniversary of Strong Women Strong Girls in Pittsburgh and the 12th birthday of the organization’s mascot Stella. There are currently thirty-five locations in the Pittsburgh area that our chapter reaches out to for mentoring. With this donation, your money will go towards proving that even the smallest effort goes a long way for our Strong Girls! Our chapter mentors are dedicated to mentoring 140 mentees to become strong girls. With your donation, you can help fund the police ensuring our 5K will be as safe as possible! Your generous donation would benefit our strong mentees, and mentors! We are incredibly grateful for your donation and support to our organization and mission. Help keep our runners safe by providing them with a t-shirt on race day!